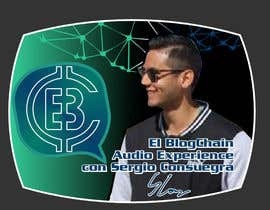 I am in the process of creating a Podcast and need a logo for it. 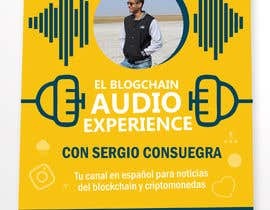 - The name of the Podcast is "El BlogChain Audio Experience con Sergio Consuegra". Include this name in the logo. 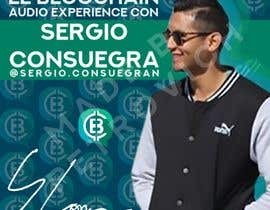 - Please use the attached picture of myself (Sergio 2 - of course I am the guy in the left) and cut my silhouette to insert it in the logo. - Please take a look at the attachments Gary Vee 1, 2 and 3 so you get an idea of what I want. 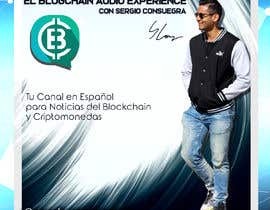 - Please include the motto (should be small also): "Tu Canal en Español para Noticias del Blockchain y Criptomonedas"